I bought the apple juice at Whole Foods, and it had an ugly tag on the outside. So I wrapped the jugs in antique hemp linen towels. I just secured the towels with the twine and added a pressed maple leaf. I love decorating with fruit.... especially during the fall months. 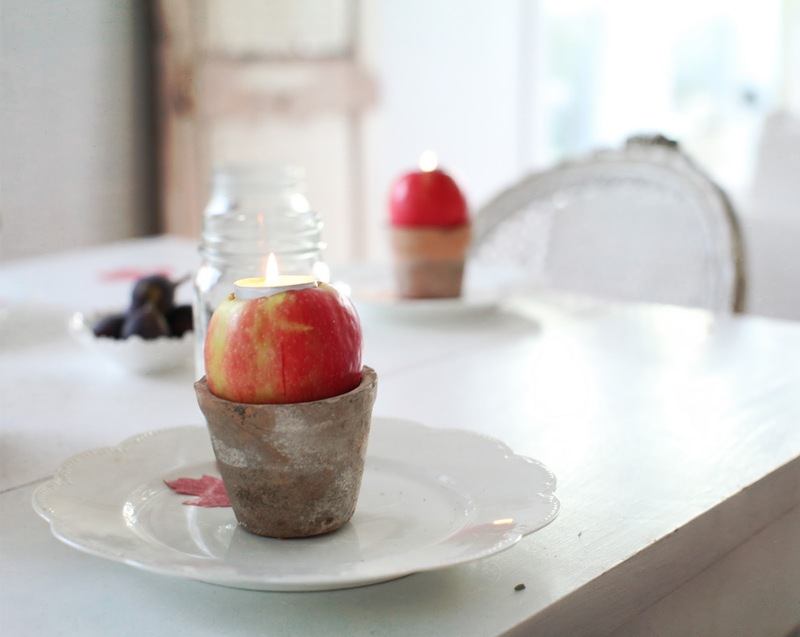 So we cut out a portion of the top of the apple and added a votive candle. To prevent the apple from turning brown you can add lemon juice to the edges of the apple. I added a few figs to the table for color. I used a variety of pressed leaves. 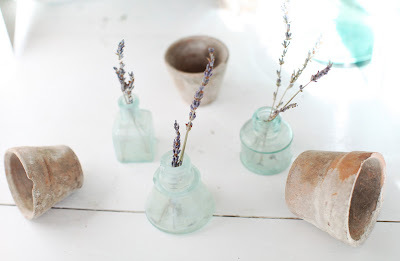 I scattered a few pots around the table and added some dried lavender to a few of my vintage green bottles. 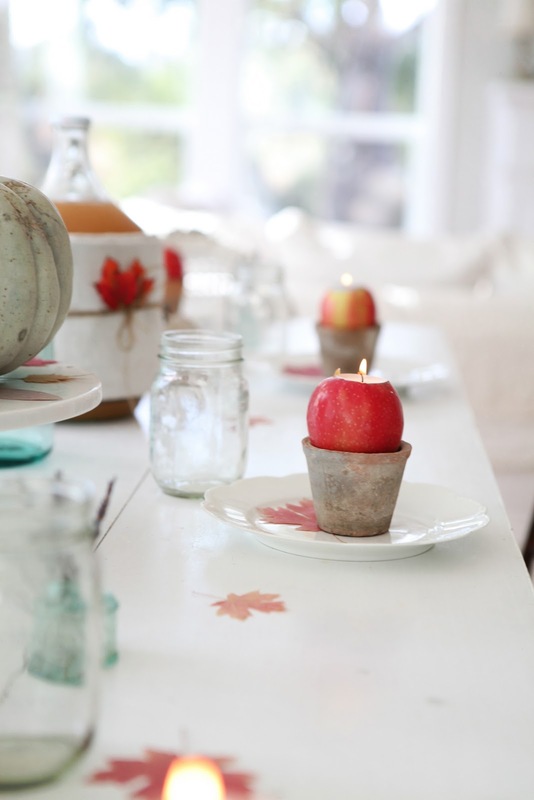 How do you like to add a bit of fall to your dinner table? I want to thank all of you for entering my giveaway. The winner of the Starfish Jewelry Design giveaway is Holly, from the blog Holly Rollercoaster! I know that Holly will love her new necklace. Thank you Amber, for sponsoring such a generous giveaway! The promotion ends tonight (the 10th). Tu enchantes véritablement les lieux et les objets ! Cette lumière partout dans tes photos est une merveille ! Un petit défi littéraire t'attend chez moi ! 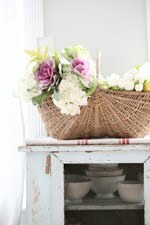 I loved your simple and sweet decor! The natural light that invades your home is magnificent! Beautiful table Maria ! very inspiring, I love your idea of a candle in the apple ! 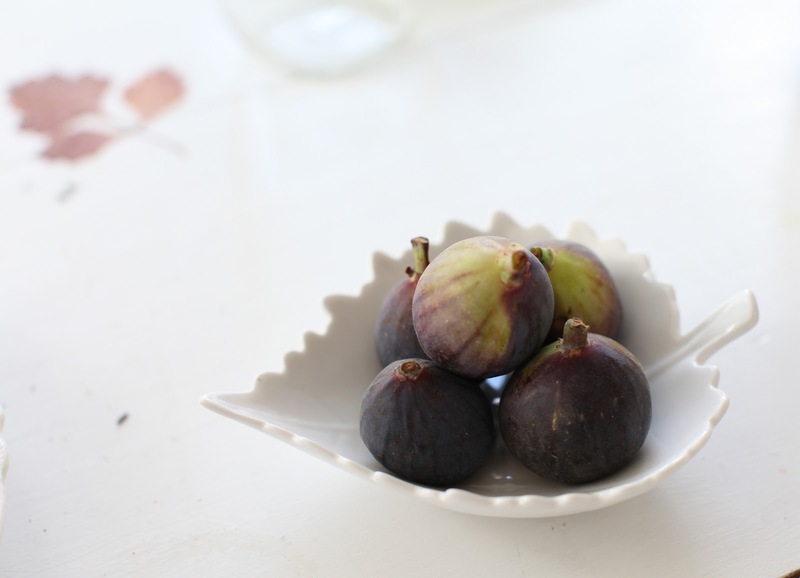 Maria....love your fall table....LOVE it. 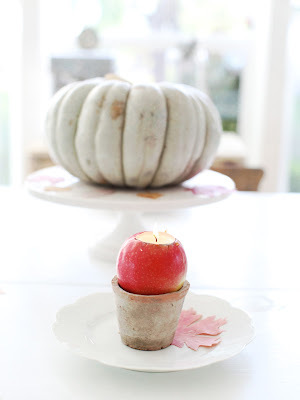 I've never seen the apples cored with a candle down the middle....great idea! i love what you did with the apple juice jug. wow. you are good. i am lucky if i get to put plates on the table. Your table looks gorgeous Maria! p.s. I'll send you soon an email! Loving your fall table today. It looks beautiful! Congrats to Holly also...I am sure she will love her gift. 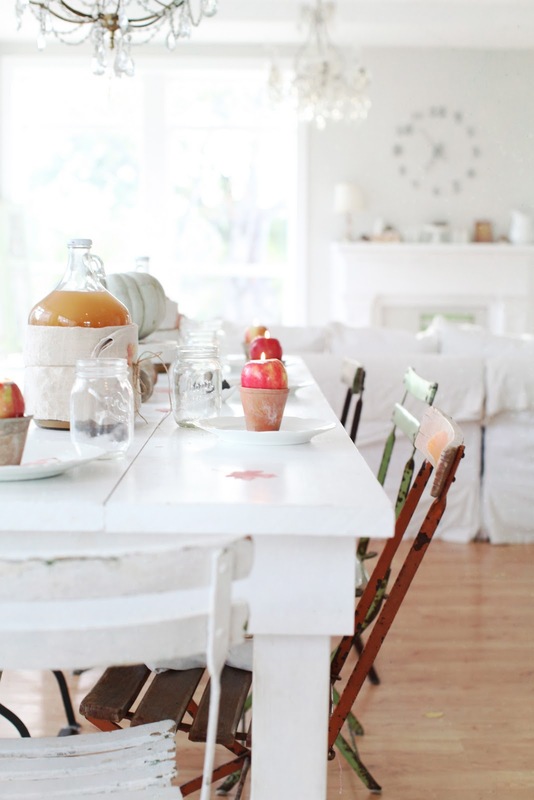 Love the way you dressed up that apple jug - simple and perfect! 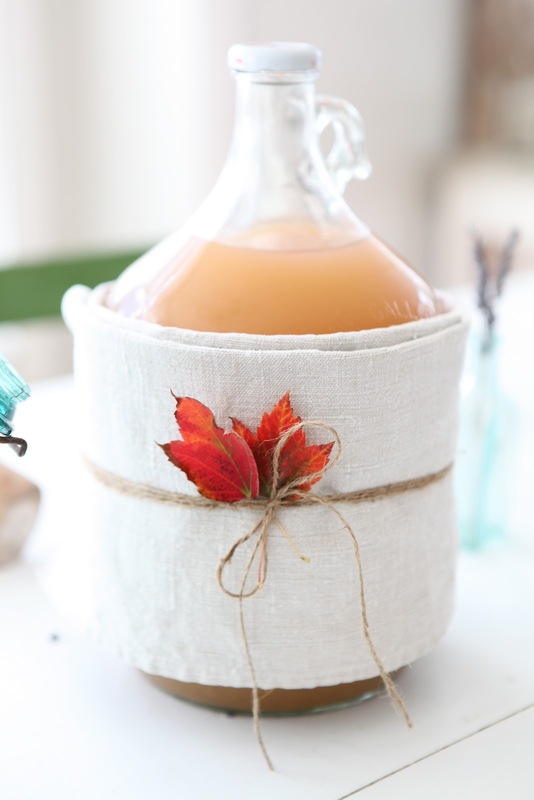 Hi Maria, Only you could make an apple cider jug look beautiful! 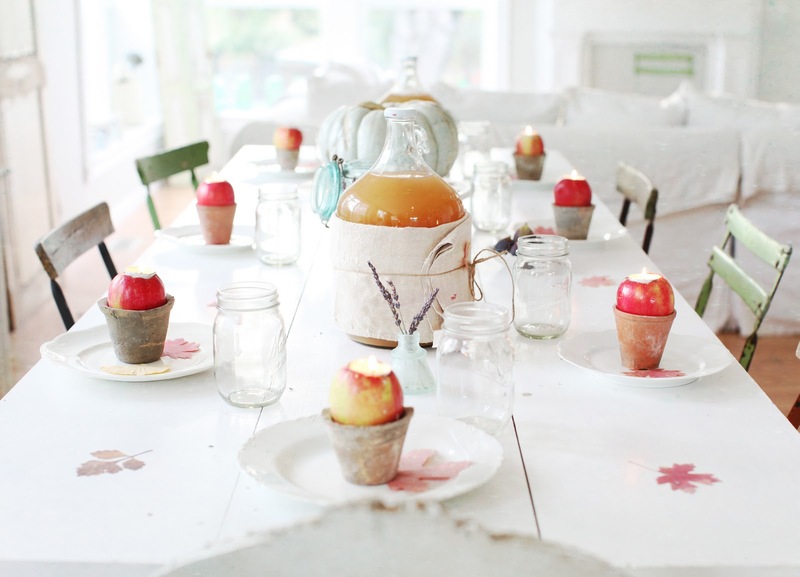 Love the candles in the apples. This is such a pretty table. Love the idea with the apples! 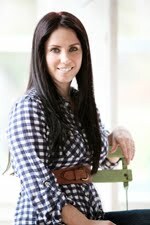 Your photos are stunning as usual Maria- I love all of the natural light in your home. I included your dining area in my blogger dining room challenge today. This photo would've been great too! Your fall dinner table looks very pretty! You even made the bottle look stylish :-)! I love your table setting-you are a genious! I never would have thought to cover an ugly label like you did on the apply jug-genious I tell you :) thanks for sharing. I love your fall table setting, Maria! I love your idea of wrapping the apple cider jugs with the towels and twine with the maple leaf... just perfect! Thanks for all of this fabulous inspiration! Your decor is indescribable! Fabulous touches everywhere! Cute, cute, cute, Maria. Love the cider in hemp. Just bought a big bottle at the farm here and will do the same. Thanks for the idea and your style! I love the cider jar! I have the perfect one to use. I love the apple candles too! Very simple and lovely. I can't tell you how much I am loving all your fall decorating posts. Your home is so beautiful and stylish. 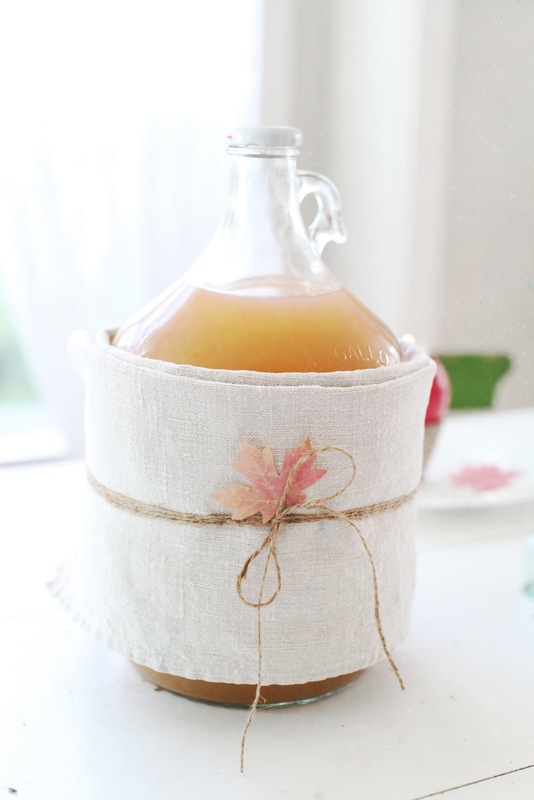 The apple jugs with the linen towel are absolutely divine. I'm inspired! Hopefully they have some left at my local Whole Foods. ah Maria, these images are so sweet ...! Hey there, loving all of your cute fall decorating ideas. This post makes me want a nice steamy cup of apple cider...mmmmm. My maiden name is Apple after all. It's so beautiful your home. It just whispers "Fall" in the simplest way. Love it. Ohhh I am so excited!! I did e-mail you just in case I got thrown into your spam pile! I love this wonderful fall inspired table! Your photos are looking fab!!! And congratulations to Holly! I just love that idea for covering the ugly juice label. Definitely going to use that one! Everything looks so beautiful, Maria. Simple and elegant. Love the apple juice jug! Is your shop opening soon? I'm hoping to pick up a few Christmas gifts! as usual your ideas are beautiful and inspiring! i love your fall table! Your table scapes are always gorgeous Maria...you have the knack! Yes, your images are always very inspiring! 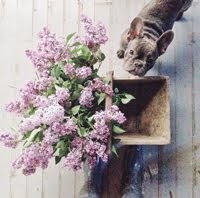 Your blog makes me smile. Lovely as always, Maria! Particularly the cover up. and those vintage folding chairs are fabulous. Wow! Its true, less is more...lovely. Hi Mary, how beautiful you make with simple tools. What a clever idea to wrap a towel around the funnie bottle's . Warm hugs to you / Ingela. I have had sensory overload this evening. I am junping from post to post, ooooh-ing and awwww-ing and feeling all peaceful and joyful. Beautiful blog! IF I Won the Cabbbages and Roses Fabric, I would creat for my Daughter the Bedroom of her Dreams. She is the kindest, sweetest, most caring and lobely little soul you have ever met. She studies Ballet, Jazz, Broadway, voice and Acting 12-15 hrs a week-while also maintaining all A's in th grade. Her 10th B-day is next March and i would set to work transformaing her roominto the dreamy Haven she so rightlyfully deserves. I have never had the budget to provide her with the room of her dreams as her older sister is on college, and all our savings were emptied caring for my elderly mother in a nursing home. This has been a blessing in disguise as everything in home our Garage Sale/ThriftShop/Craigs List or side of the road rescues. But you just cant fake fine fabric. Please help me make her dreams come true! Thank you so much for this opportunity to make a little girls (and her mother's) dream come true!